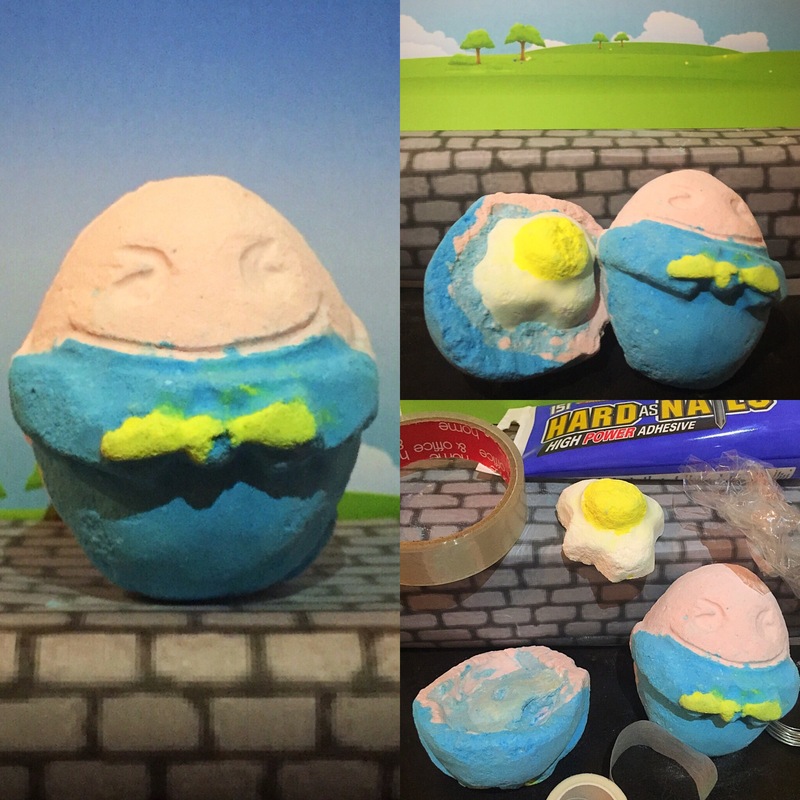 When it comes to novelty and fun products, the Humpty Dumpty bath bomb defiantly pulls out all the stops. Inspired by the classic nursery rhyme, this gigantic bath bomb is not only perfect to be part of a Easter range but also brings out your inner child. 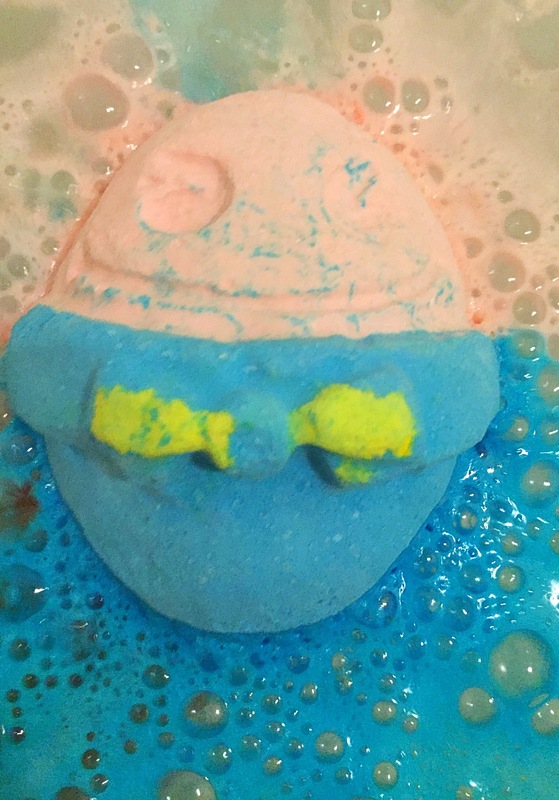 The Humpty Dumpty bath bomb is very large compared to your average sized bath bomb. Shaped like an egg and decorated to look just how I imagine Humpty Dumpty to look like. Although a bigger bath bomb does mean a much larger price tag. Due to its price I personally would not make this a product that I would purchase regularly. But I do think it is a fantastic novelty product and is perfect for presents or as a treat. I have decided this year to buy my friends and family these rather than a chocolate eggs as a slightly different twist on the Easter egg. 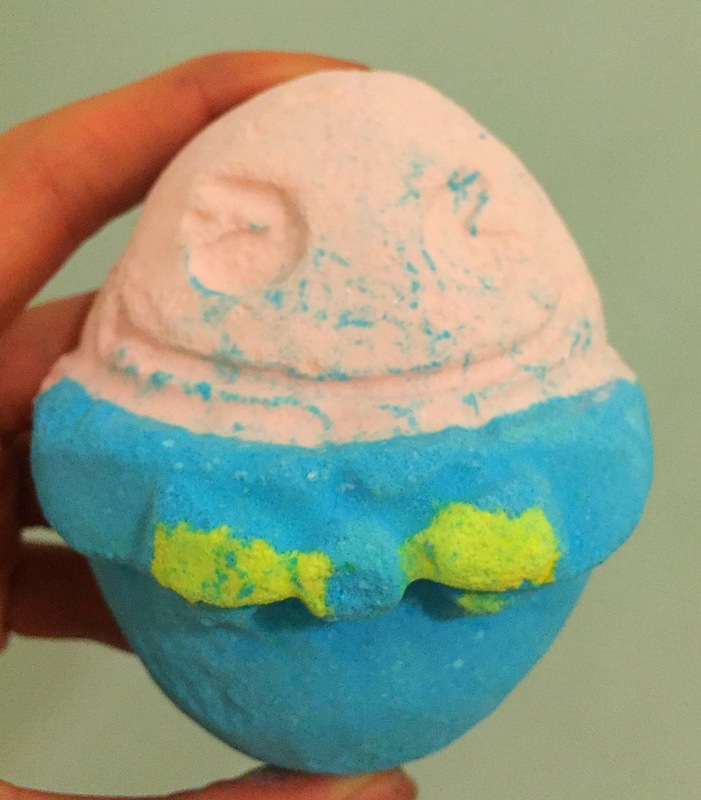 Although this bath bomb is a lot more exspensive than your average bomb, this product is actually designed to last you three baths, making it rather good value for money. All that you have to do is crack the egg in half (this is quite difficult so please be careful), which give you two halves to use in two seperate baths. Concealed in the centre of the product is a brilliantly designed little fried egg! This egg creates your third bath and also adds another fun and novel element to this already quirky product. 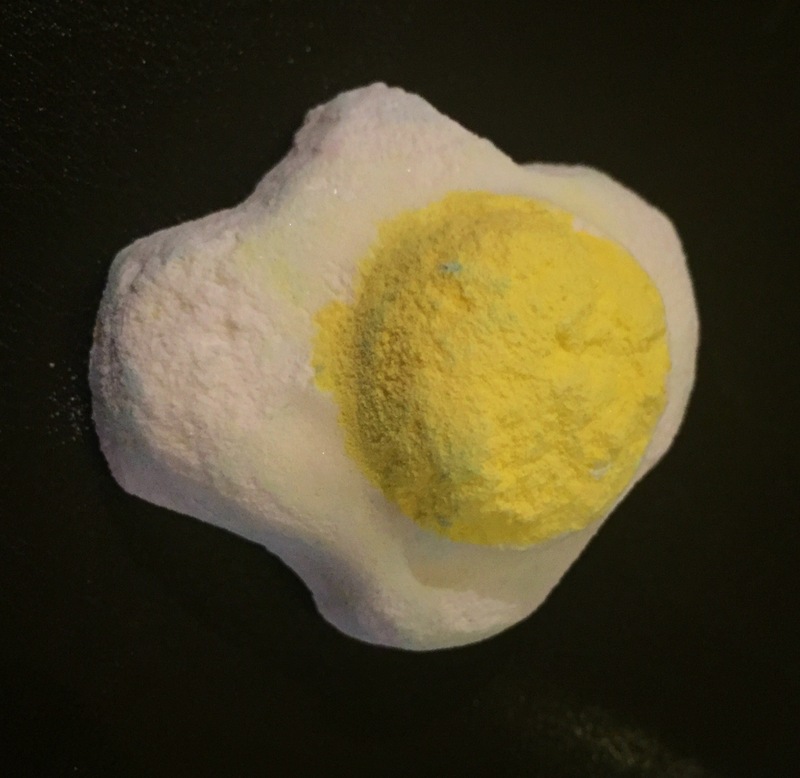 Scent wise the Humpty Dumpty bath bomb smells very similar to the scent family honey I washed the kids. This scent is a very warm toffee caramel scent ,this bath bomb also contains a good helping of Brazilian orange oil which adds a slight hint of orange to the scent. I personally find this scent to be a sweet, warming and musky mixture of scents. Once popped in the water this bath bomb does fizz very quickly, as it fizzes away it turns the water a very lovely blue colour and released its beautiful sweet caramel scent. I found this to be a very uplifting scent and found that the scent was strong enough to last the entire bath although I only actually use a third of the bath bomb. Overall I really enjoyed this product, I love how fun and quirky its design and concept are and I adore the scent. I may not be stocking up on lots of these, but I really did enjoy treating my self to one. Ingredients – Sodium Bicarbonate, Citric Acid, Titanium Dioxide, Brazilian Orange Oil, Bergamot Oil, Water, Limonene, Linalool, Lilial, Citronellol, Perfume, Cornstarch, Colour 42090, Colour 47005, Colour 14700.